Grandesign took the hit show 2 Broke Girls on the road to promote its most recent triumph: syndication. We toured the east coast with plenty of 2BG fun in tow, with NYC headlining the tour. 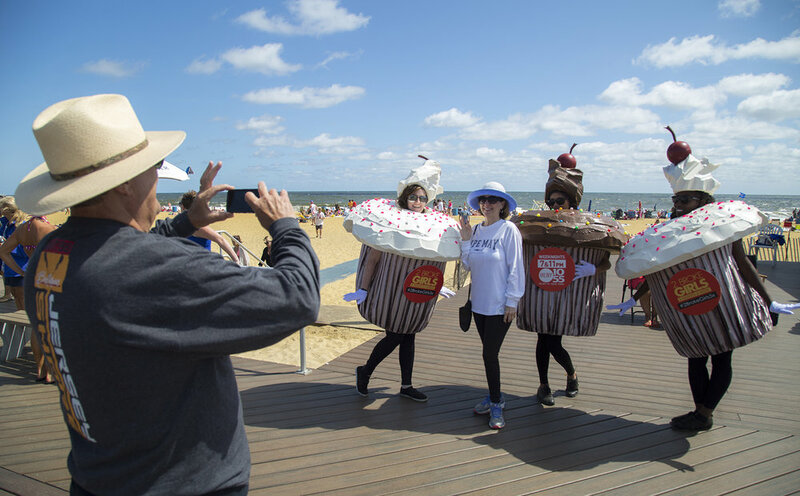 We deployed brand ambassadors in cupcake costumes and uniforms from the Williamsburg Diner, plenty of giveaways at our 2 Broke Girls tent and a coffee cup ride for all to jump on and enjoy. In NYC, we pulled out all the stops. Add a diner takeover complete with 3000 free cups of coffee, 1500 free cupcakes, and 10 sign spinners, to start. Then, we gave Chestnut a day off; five horses spent the day relaxing while prop horses took their place in Columbus Circle for passersby to pose for a pic.